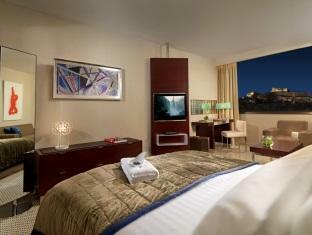 ﻿ Athenaeum Intercontinental Athens. JIMAT di Agoda.com! Ketika melawat Athens, anda akan merasa seperti di rumah di Athenaeum Intercontinental, yang menawarkan penginapan berkualiti dan perkhidmatan hebat. Dari sini, tetamu boleh menikmati semua kemudahan yang bandar ini tawarkan. Syurga untuk berehat dan bersantai, hotel ini akan menawarkan pembaharuan penuh hanya beberapa langkah dari pelbagai daya tarikan bandar seperti Masjid Al-Salam Mosque, Athens City Museum, Melissotopos, Bee Place. Perkhidmatan hotel kelas pertama dan kemudahan yang menentukan pengalaman InterContinental Hotels Group menanti anda di Athenaeum Intercontinental. Hotel ini menawarkan pelbagai kemudahan di lokasi untuk memuaskan hati tetamu termasuk yang arif. Semua bilik tetamu menawarkan pelbagai jenis tahap keselesaan. Banyak bilik turut menyediakan televisyen skrin rata, internet wayarles, penyaman udara, pemanas, panggilan kejut untuk memuaskan hati tetamu. Di samping itu, pihak hotel menawarkan aktiviti rekreasi untuk memastikan anda mempunyai perkara untuk dilakukan sepanjang penginapan anda. 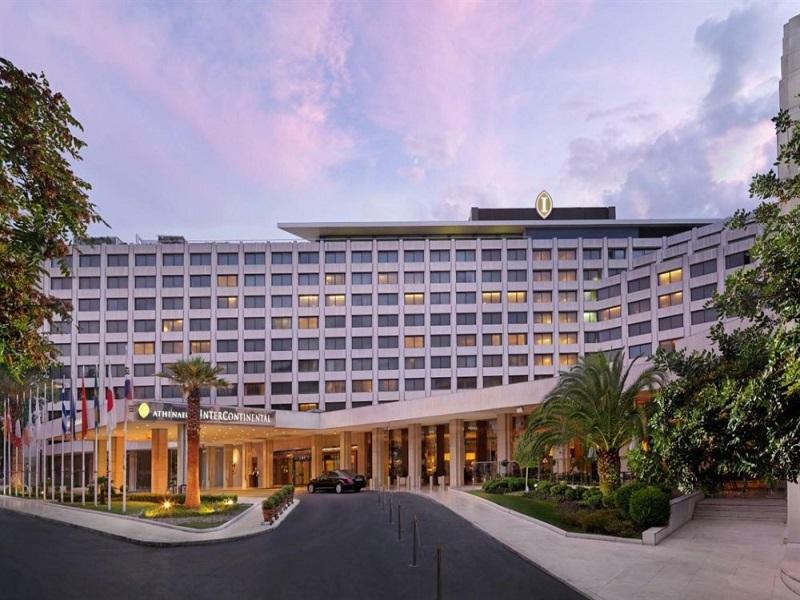 Athenaeum Intercontinental adalah destinasi sehenti anda bagi penginapan hotel berkualiti di Athens. This hotel was our first stop in Greece. While we're quite satisfied with the hotel, soon we found there are better hotels in much better location and with much better staff service. It's not like this hotel service is disappointing, but many other hotels in Greece go the extra length to ensure great personalized service to the guests. Location-wise, it's rather distant from the Acropolis and the city center. Fortunately the hotel provided free shuttle service to go to those areas of interest. Excellent stay in various aspects ! Very convenient and comfortable ! Our family was in Athens on vacation, and we had a great stay! The staff was excellent - super polite and willing to do anything to help us out. We paid extra to upgrade to the club lounge, and it was worth it - calm and relaxing, great food, good views. Location is a little out of the heart of Athens, but it was about a 20-30 min walk to Plaka / Acropolis, or quick 3-4 euro taxi ride. The check-in was a little slow and could be improved, but that's about all that I'd recommend changing. We had a great stay and the staff were very friendly and helpful. Quite far from city. Shuttle bus service should be at shorter interval. Steam room and sauna facilities run by Spa and not complimentary. Lax attitude of reception staff, no free wifi, view worse than look in photo. 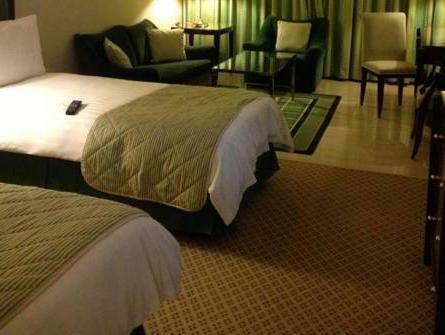 the room was clean and fully equip with all the amenities. Great breakfast and lots of variety to choose for. Nice hotel. Overall, a good stay. There is no convenient store nearby- not many restaurant choices outside of the hotel. In room dining is pretty expensive, something expected of a 5-star hotel. There is a shuttle bus that runs to Syntagma Square- a major shopping and cultural area (this was a major plus). Beware- the price to the airport is approximately 50Euros- however, any hotel in the are will probably be about the same price. Staff were friendly- we had to switch rooms because of noisy neighbors from the connecting room, but the staff were quick to help out. I enjoyed most of my stay at the hotel; however, the rooftop restaurant was closed the entire time I stayed there and I was looking forward to that experience. also, the bar tender didn't seem to add much rum to my mojito. Overall it was a good experience, but not as great as expected. 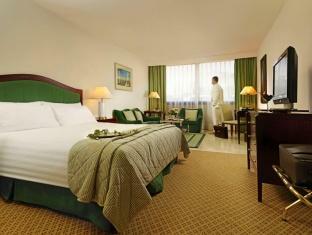 the rooms have recently been renovated and like i commented the location is fantastic. one station away from acropolis..
i strongly recommending this hotel to everyone.it is very close to all of the atteractions arround the city. it has also free shuttl takes you to the santegma squer every half an hour and return you back. The place is nice. It was clean and products were great. It's 10 min walk from Hadrian's Arch and the tram is near by. The bed was comfortable and the room is spacious. Unfortunately most of the eating establishments within the hotel is closed until March 2012. Vienna cafe has a piano player if your interested. Can't comment about the food nor hotel features as I didn't use them. 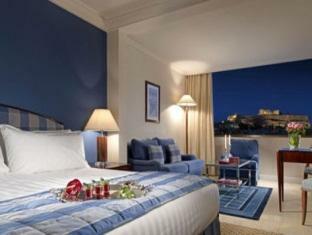 Location very close to the Acropolis and easily accessible by local transport. A typical 5 star hotel, meant for business. They can be more friendly. When we booked, I upgraded to the Club Intercontinental, because of the view from the room, but on reaching there, I was told that the room with the view of the Acropolis was 20 Euro + VAT extra, over and above the price I was paying, which was not made clear to me when I booked. I was there for 2 nights and hence it did not matter much. The hotel has a decent location, not far from the city center. It is a comfortable hotel more meant for business.